So, you are in the hospital and you are expecting a little angel to be on your lap any time soon. And you can’t believe this tiny little angel is yours to protect! Taking him/her home is the first thing that you will do after you get a go-ahead from the doctor, but how? Baby/Infant Capsule : These are the seats for babies below six months of age and are rear facing. The seats are rear facing because it is found on crash tests done on dummies that the babies are hurt far less while rear facing than on front facing. These capsules are held tight by adult seat-belts or the Isofix anchoring point and the top tether strap. They have in-built harness system. 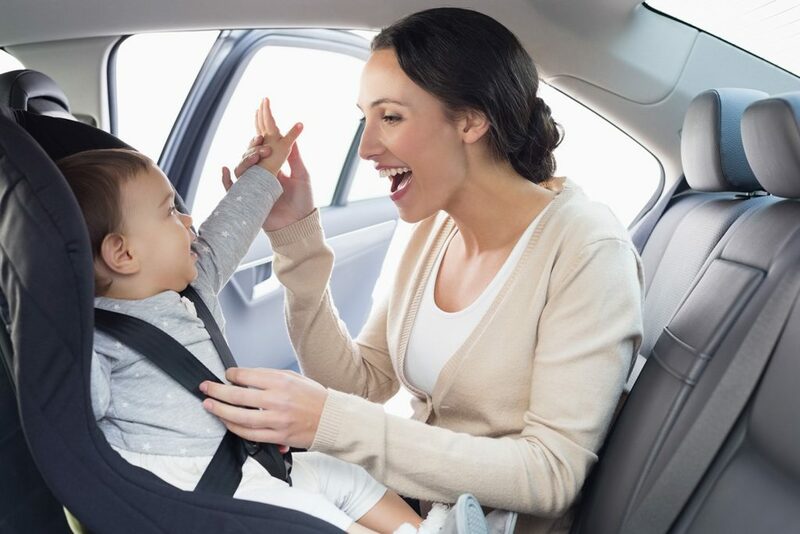 Forward facing car restraints : These can be used for babies until they are four years of age and can be installed the same way. You can use them until your baby fits in it. The harness needs to be cosy, make sure there are no twists in the straps as it could really make it uncomfortable for the child. It should not be loose neither should you stuck any blanket in it since this could be dangerous in case of an accident. Booster seats : These are designed for children from 4 to 8 years and are forward facing. Many of these have high backs and sides for side impact protection for your child, which make them a better option than those which doesn’t. Convertible restraint seats : These are the new type of seats that can be used with different restraints. These can transition from rear seating to forward seating boosters. They aren’t considered the best choice for the new born though. They can bear weights from 20 to up to 90 lbs. Space : You must see if there is enough space in your car that the restraint can easily fit into it and you have enough leg room for your front seats too. Anchor points : See that your car has the tether straps to attach it to the restraint and are the restraints easy to attach on the anchor points in the seats. Seatbelts : Are the adult-belts on your car long enough that they can tread the restraint trough well. Certifications : Make sure that the car restraint is certified according to Australian standards. Weight : Do check what weight range can the restraint bear and how heavy the restraint itself is. Markings on shoulders : There are many restraints that come with shoulder markings that will indicate when it is the time for you to change it and move to a higher restraint. Make sure that the restraint is okay and not damaged if you are using it for your second kid or have borrowed it from someone you know. If the restraint is already damaged, it can be really dangerous for your child. It is possible that the older one is not complaint with the new standards. Do not use it if it doesn’t attach perfectly.